“I just got home from doing markdowns at work. Things that were previously $24.99 were marked down to $14.99 and things that were $9.99 were marked down to $4.99 and so on. About 2 hours in, I was thinking about how somebody in an office somewhere decided to change the value of the item I was holding and now I was putting a little red sticker on it to communicate to the world what the new value is. Then I thought about I have done that to myself in the past. I put myself in the “discount” section because I thought I wasn’t worth much. Somewhere between being a little girl dreaming of what my life would be and a young woman who just wasn’t good enough – I took the mark down. I let someone else’s words or somebody else’s judgement devalue me. I’ve been used – mark down. I’m not pretty enough, or skinny enough – mark down. I don’t have a lot of money – mark down. I’m too old – mark down. I’m too screwed up for anyone to love – mark down. This is the best I can get with what I have. I am lucky to be chosen by anyone, even if they treat me like I am worthless. I don’t deserve to be chosen, I shouldn’t hope for more than I can get. I am not worth much, it is okay if you treat me that way. 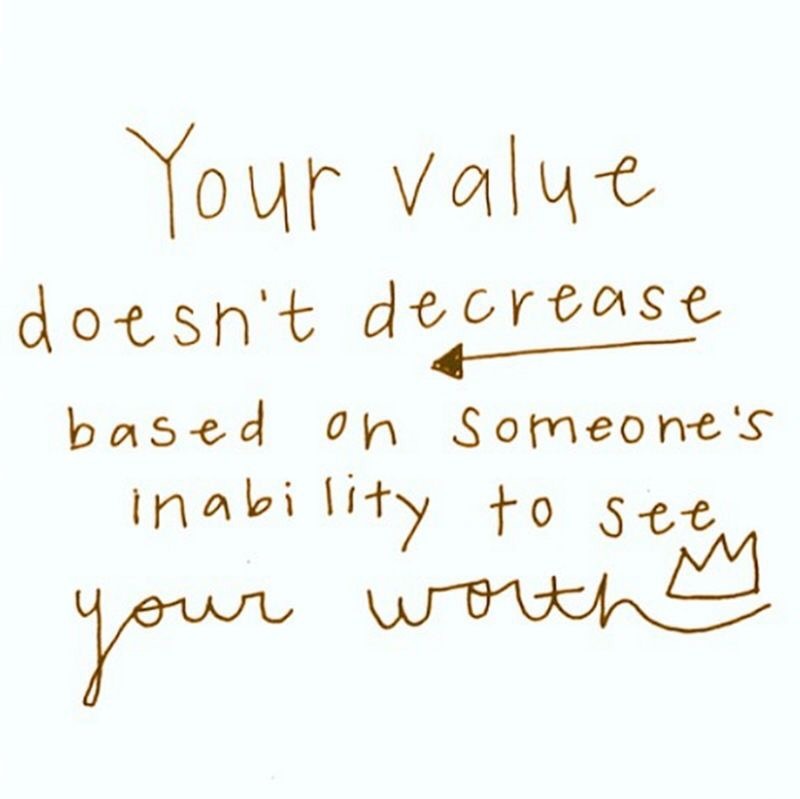 When we believe we are not worth much, we allow others to treat us that way. When we allow others to treat us mark downs, it reinforces that we believe we are not worth much. It is a vicious cycle – what can break it? Love can break the cycle. No matter what you have done or what has been done to you – you are valuable. No matter how many times you have taken the “mark down” in your life, you still are worth more than you can imagine. You are precious and you are loved. How do I know? I know because as a young broken girl who had taken the mark down, I came face to face (or rather heart to heart) with my Savior. A Savior who loved me so much that he paid the ultimate price to have a relationship with me. A Savior who rescued me from the clearance section, tore off the little read sticker and said – I will pay full price for her, she is worth it. I am worth his sacrifice and so are you. Not because of what you say about yourself or because of what others say about you but because of what God says about you. The moment I accepted His love, He began taking off those little red stickers. And now He sends us out to do love others and take off their stickers. Everyone is precious to God. Everyone is loved.